This post was originally published on Noteworthy — The Journal. I never used to frequent Product Hunt as much as as I do now. Arguably, I’m part of its target audience: I work as a marketer; I work for a software company; I have entrepreneurial goals, and I love finding interesting products/sites/apps. Despite all this, I didn’t really get the site; I scrolled through a few times and thought it was mainly tech bros boasting about how much they raised in their last round 廊. Then I got invited to Makers by Abadesi, and my interest was piqued. Why? Well, Abadesi is a black woman, like me, so that was a huge draw. If she felt it was worth my time, then maybe I would too? 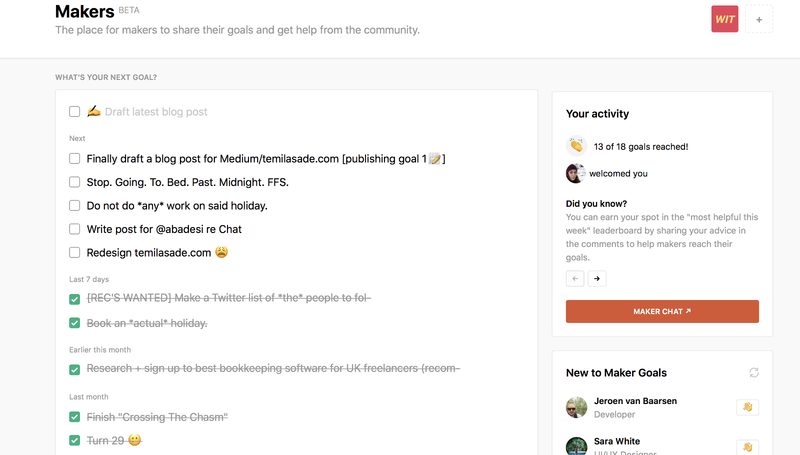 Maybe I’d been sleeping on Product Hunt?!? (Reader: I had). 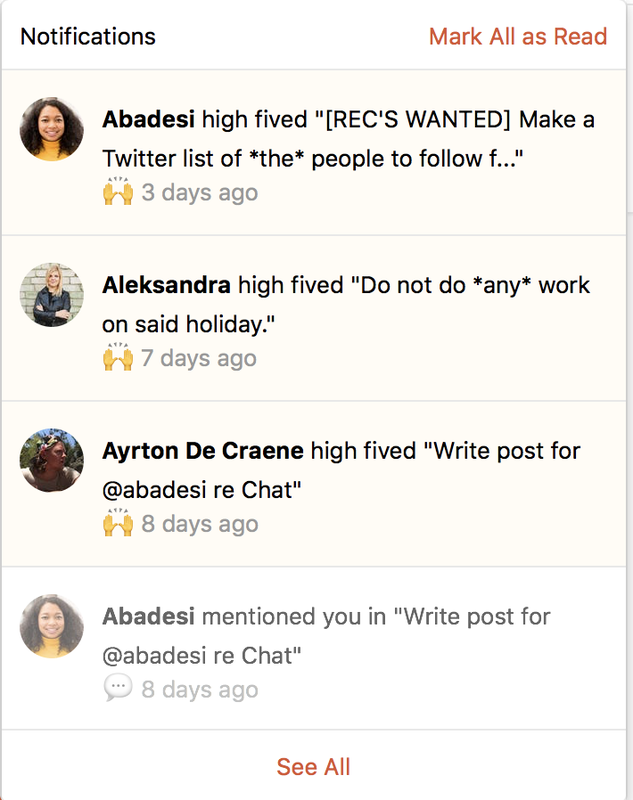 NB: It was also at this point that I realised Abadesi also worked at Product Hunt…and that fuelled my curiosity further. I accepted the invitation and lurked for a few days. I thought it would only be people sharing work-related goals, but again, I was wrong . People were sharing all sorts. Professional and personal goals. Everything from trying to stop drinking pop, to pitching VCs, to learning new languages. Scrolling through feels like a dose of motivation. I realised that these are my peers — all attempting to hit their goals, and doing it publicly. Oftentimes, when I read about other people tech, it’s because they’re being profiled by the media for their incredible successes. This is no doubt aspirational, but seeing my peers goals on Makers felt more like solidarity. It was refreshing to see the minute and magnificent things being accomplished. Wait, what does this have to do with inclusivity in tech? You get a high five, and you get a high five! The thing about Makers is that it’s sticky in a good way. Unlike most sites optimized for engagement, this is a good use of my time. If I haven’t logged in for a few days, the first thing I see when I do, are all the goals the community is working on. Just seeing that gives me an urge to publicly commit to work I’ve been neglecting, and to offer a small sign of support to other folks in tech like me. Sign up to Makers here.